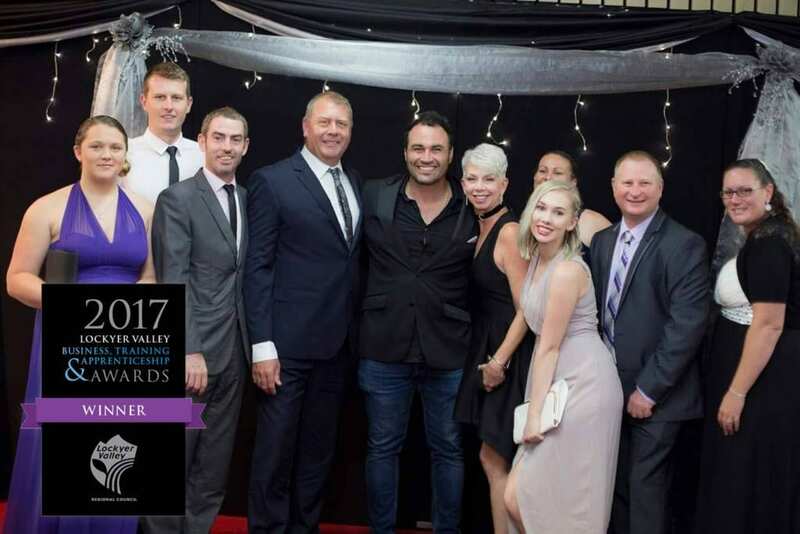 Schulte’s were thrilled to win the Large Retail Business Award in the Recent Lockyer Valley Business and Training Awards. This is a testament to our great staff and team work that goes into making the Schulte’s brand iconic within the Lockyer Valley and South East Queensland. The evening was hosted by Miguel Maestre who then went on to host a cooking school at Faith Lutheran College showcasing Lockyer Valley Produce! 1st with our Italiano & 2nd for our Fresh Chorizo in Continental. In the Open Class Lamb we came 2nd for Lamb, Herb & Garlic, and in the Poultry we came 3rd for our Chicken Parmesan & Cracked Pepper! For the Best Burgers we came in 1st for our Steak, Tomato & Onion Burger & 2nd for Schulte’s Steakette Burger. In open class burger we came 2nd for our Lamb, Herb and Garlic Burger. hosted by AMIC for the RNA. Placing 3rd for our Cooked Corned Silverside was great but was pushed aside for a 1st in the Pre-cooked Sausage category for our Smoked Strass! The Schulte’s Team were honoured to be awarded The Retail Excellence Award as well as the Processor Excellence Award for Queensland on 1st November 2014, at the AMIC Queensland gala dinner. These 2 awards are coveted amongst Queensland Independent butchers as setting the bench marks for the industry to keep striving. 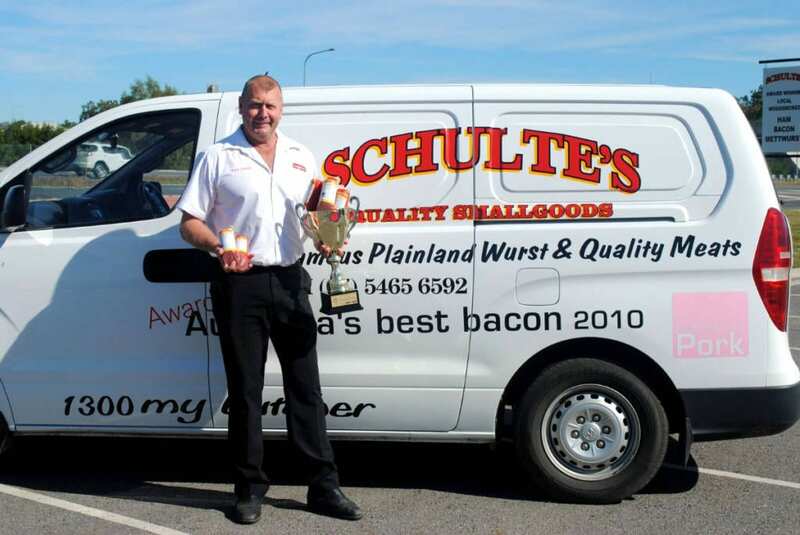 Schulte’s has seen many changes in recent times with Peter Schulte taking over as General Manager to help steer this expanding business into it’s next phase of growth. The entire team at Schulte’s are to be congratulated for taking on the challenge of change & working hard to raise their already high standards.